In a ‘protect the rights of women & facilitate procedures for her’, Saudi Arabia’s Justice ministry has announced that Saudi brides will now get a copy of their marriage contracts, a privilege that was previously exclusive to just men. 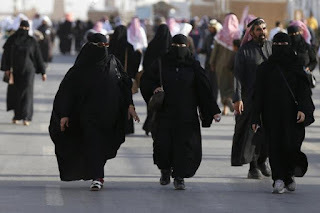 According to a directorate issued by the justice minister, Walid al-Samaani, clerics who register marriage contracts, must now hand over a copy to all brides in order for women to be fully aware of her rights and the terms of the marriage. This decision according to the minister, also took into consideration that a woman would need a copy of her marriage contract in case a dispute with her husband brings them to court.